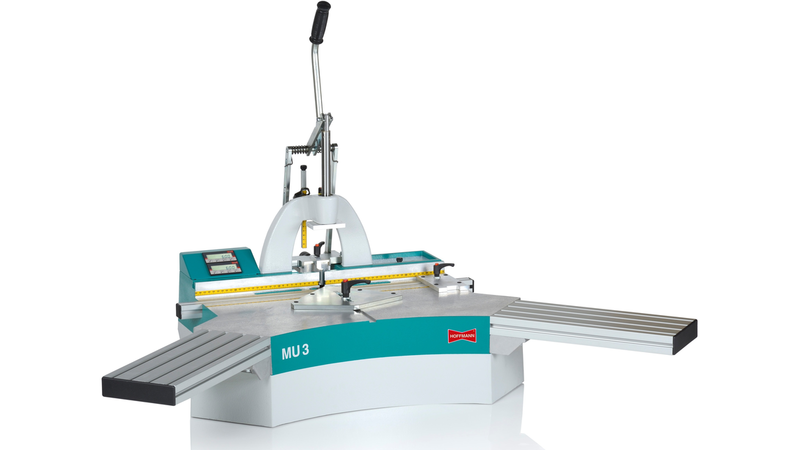 Portable and flexible bench-top machine, for routing a single dovetail slot with each machine cycle. Hoffmann Key sizes W-1/2/3/4.FunctionPosition the work-piece on the centre-fence and move according to the profile width. Pull down the handle to clamp the work-piece. Continued pressure raises the router carriage to the pre-set depth. When the handle is returned, the carriage lowers to its home position and the work-piece is released. The motor switches on and off automatically. On the model version MU 3-D the routing position, as well as the routing depth are digitally displayedto an accuracy of 1/10th mm.